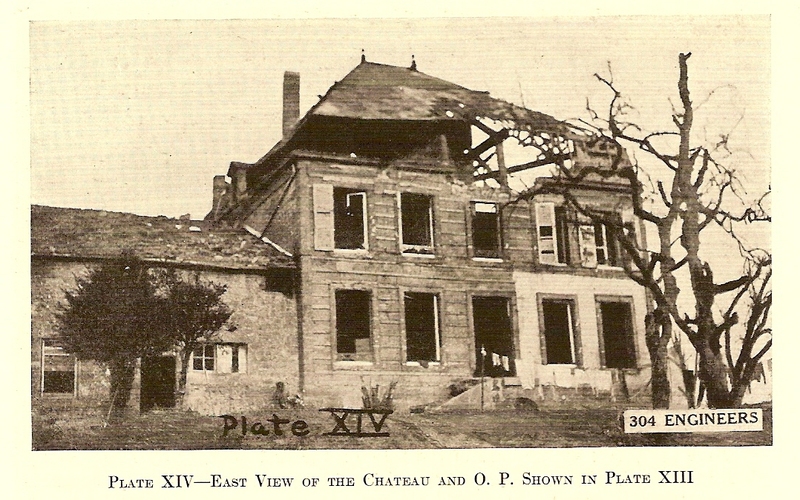 "The chateau is a 3-story barn-shaped building, constructed with the massive outside and inside masonry walls, common to the older French architecture. 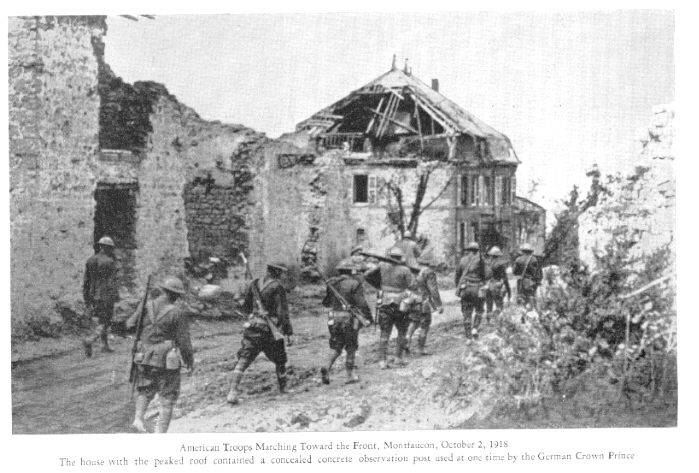 The Germans have first laid a heavy course of reinforcing over the first floor, making the arched cellars excellent shelters with from 6 to 10 feet of masonry and a 30" stone as cover. In addition a dugout was built under the road providing an additional 18' of cover. From the basement a tower is built, reaching to a total height of 35'. This tower is well protected, having for the most of its height three feet of concrete and two masonry walls on the side toward the enemy line. Where the protection of the outer wall ceased an additional concrete slab protected the upper 12' of the tower. A 4' slab covered the top. A small chart room at the highest point by the opening sheltered the observer and his instruments. The special feature of the place, however, was a powerful reflecting telescopic periscope mounted on a gun carriage and put in place on the first floor with the tube running through the tower and out the roof. This instrument was so constructed that observation could be carried on either through selective eye pieces at the base of the tube on the first floor, or by means of reflectors and prisms from the second or third floors. 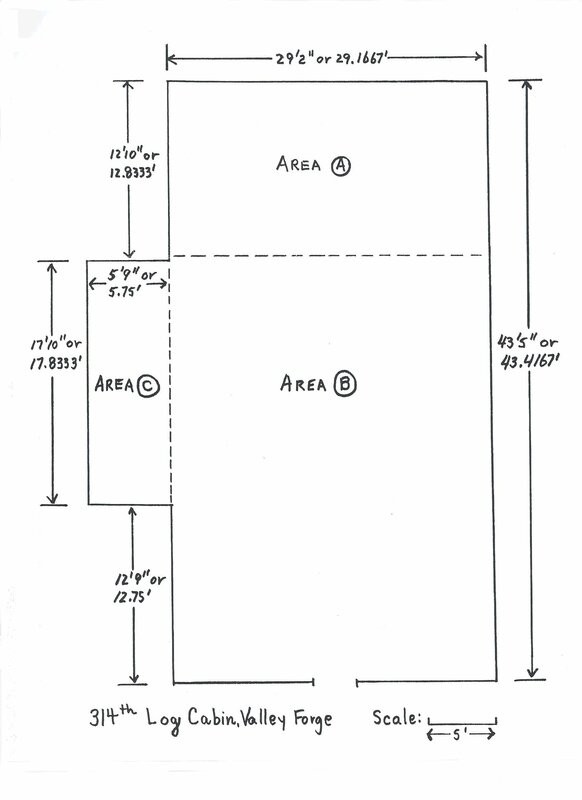 A large and very elaborate observation map was found mounted in the chart room scaled in mils and oriented with respect to the instrument, so that to lay on any point on the map it was only necessary to get its mils deflection from the map, turn it off on the traversing scale of the telescope, and bring it into focus from the eye piece. The instrument when captured was in serviceable condition, but some thoughtless souvenir hunter stole the eye pieces rendering it useless. 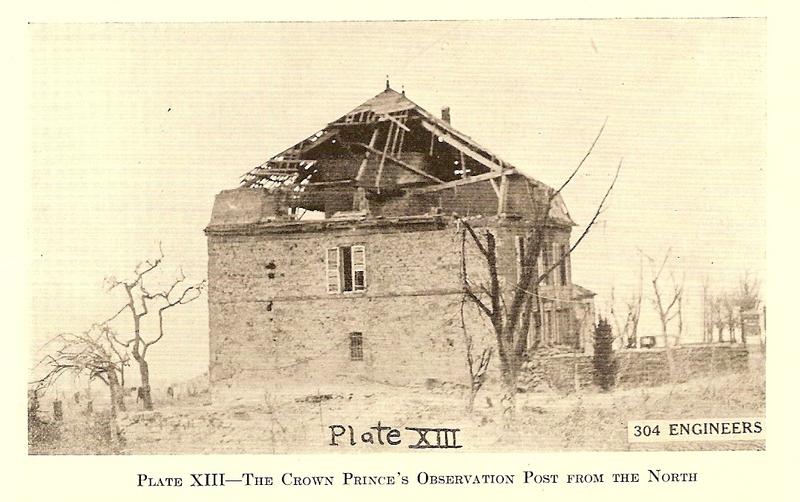 It is interesting to note that the Crown Prince is reputed to have used this place as his headquarters during the battles of Verdun, which fact, judging from the thickness of the walls, is very probably true. The structure, less the telescope, is standing intact at the time of writing and unless explosives are resorted to will probably continue to stand for some time to come as a monument to the German occupation."